Making wacky stuffed creatures is fun especially when there's an occasion to do so. 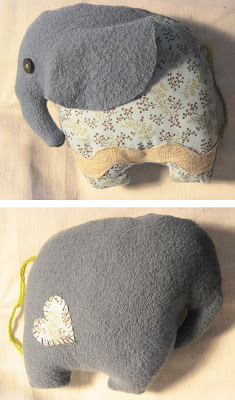 Here's what I call a lucky elephant that I made for my friend's future baby. What stuffed elephant wouldn't want to be loved by a cute little baby? I can already picture the drool all over it.